Let's make sure a cool PC game takes the prize. 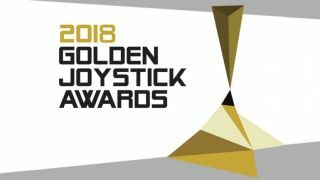 Voting is now open for the Ultimate Game of the Year prize at the Golden Joysticks 2018! You can cast your vote right now on the Golden Joysticks site. Voting closes in seven days and the results will be revealed at an award ceremony in London on November 16. The whole ceremony will be streamed live on Twitch. Let's take a look at the nominees. The links go out to our reviews for all bar the three games here that weren't released on PC—there are some big scores in there. The PC is strongly represented this year by a mix of big-budget games and ingenious indie treats like Dead Cells and Subnautica. I actually can't decide what I'm going to vote for, which is a shame because we're entering into our game of the year discussions at PC Gamer soon and a lot of these games are in contention. I think I might have had the most fun in Monster Hunter: World now that I think about it. Hmm! Let us know which game you voted for and why.